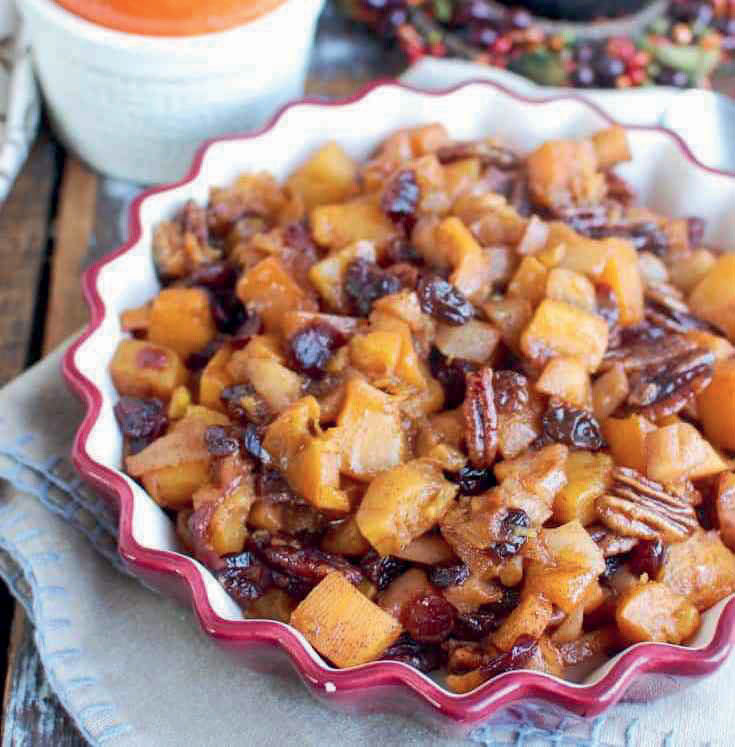 Butternut Squash Apple Bake | Louisiana Grown | Real. Fresh. Preheat oven to 400 F. In a large bowl, combine butternut squash, apples, cinnamon, vanilla and brown sugar. Mix well. In a baking dish that has a lid, pour the butternut squash mixture and spread evenly. Place chopped butter throughout the butternut squash mixture. Cover and bake for 15 minutes. Add raisins, cranberries and pecans. Use tongs or a spoon to toss the butternut squash until tender and lightly browned. Remove from oven and stir.